Deol Limo provides an excellent Ford Expedition Limousine service. 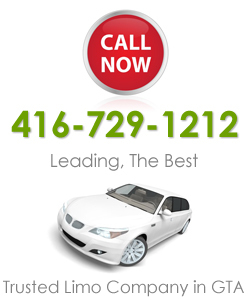 We are committed to providing the most affordable and professional limo rental service within our coverage areas. When you need efficient and stylish transportation in Toronto and surrounding areas, you should definitely consider hiring our Ford Expedition Limo. This medium sized limo can give you a luxurious and comfortable ride for personal parties, corporate events, tourist excursions, weddings, bachelor parties and bachelorette parties. * You can even come personally to see and inspect our Ford Expedition Limo before hiring it. * We can also help you to plan some aspects of your trip if you so desire. To request for a personal quote, simply call us on phone and speak with our courteous representative during working hours. You may also fill in our quote form or send us an email after normal working hours. Responses are sent back in less than 24 hours. To get a comprehensive view of all our services, feel free to browse through our website and find out more information. Our limo rental services now cover the following areas: Toronto, Oakville, Brampton, Mississauga, Markham, Woodbridge, Richmond Hill and Vaughan.